Hybrid of a Apothecary OG Kush and Grape Ape Original Clone. 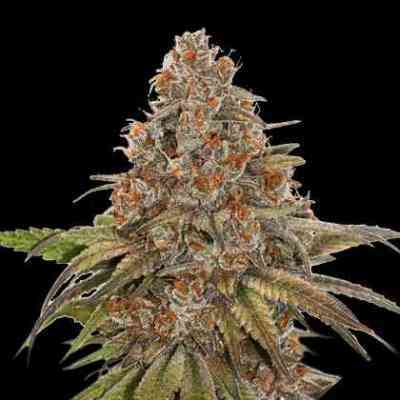 King's Kush grows bushy, compact and short. Its leaves are thick with dark green to purple colour. Its buds are round, short with strued internodes. Sometimes it is necessary to remove some sets of branches to allow more light and air to reach the inner areas of the plant. 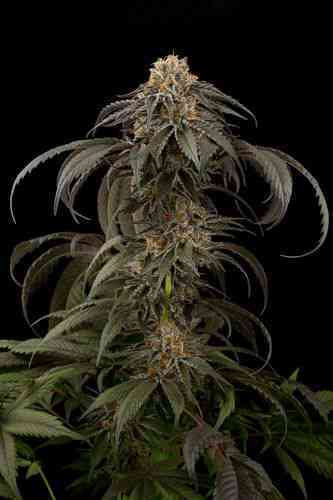 The aroma of this strain is very intense and tangy with grape, lavender and musk undertones. 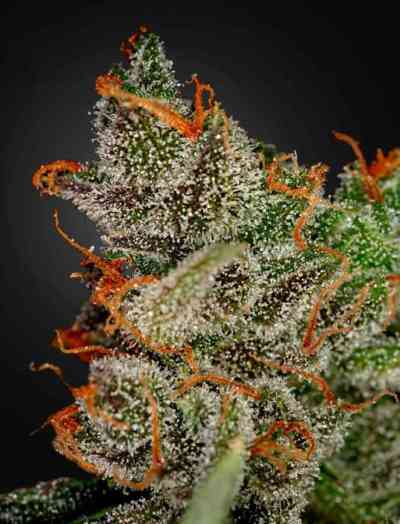 King's Kush taste is more expressive than the smell - more like OG Kush with hints of grape and berries. Its long lasting, heavy and cerebral effect is creepy. Flowering indoor: 9 weeks, with production up to 800 gr/m2. Good for SCRoG or LST. Flowering outdoor: Finishes by the first week of October (North hemisphere). Production can reach 1100 gr/plant. Long-internodes, branchy plant.